Frankly put, Matt McGlynn is a professional audio equipment genius. His meticulously curated online publication and database, Recording Hacks, is an all-inclusive resource for recording techniques and the gear that makes it possible. Of particular note is Recording Hacks‘s extensive microphone database, featuring hundreds of transducers from both major and lesser-known manufacturers. Every microphone Matt profiles on his website goes well beyond the standard list of specs that can be quickly found with a Google search. The Recording Hacks checklist for each piece includes forum discourse and reviews by other gear nerds like ourselves, the mic’s history and origin, common applications, and recommendations for similar microphones. It even goes so far as to discuss possible modifications–DIY or professionally done–that can be made to every microphone. Naturally, frequency response graphs are provided for every entry, and multiple graphs can be stacked for a direct comparison between different microphones. And for boutique pieces, Matt interviews the mic’s designer for a truly 360° overview of the equipment’s intended use and physical characteristics. In fact, Matt and I had quite a long discussion about microphones last summer, in which we also gave away a Roswell Mini K47 condenser! 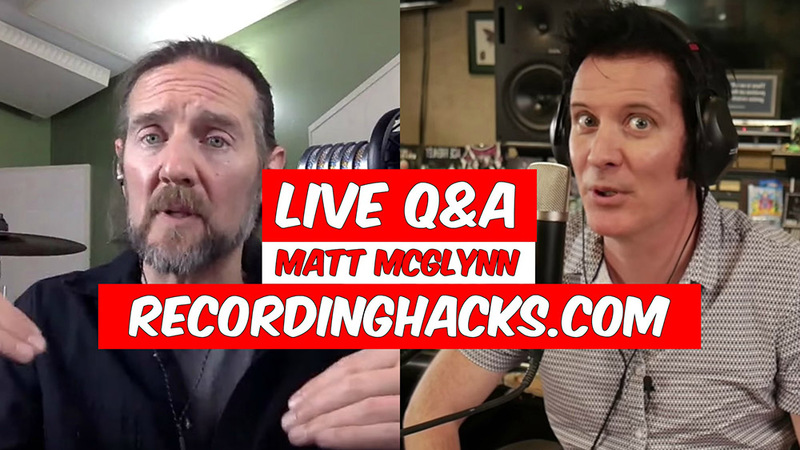 Matt McGlynn runs the popular online publication Recording Hacks, as well as his own microphone company, Roswell Pro Audio. It seems only fair that Matt would, in fact, have his own company, doesn’t it? Roswell Pro Audio out of Northern California is Matt’s aforementioned boutique mic manufacturer. Their popular Mini K47 condenser is an incredible piece that offers premium audio quality typically associated with much, much higher price points. The K47 sounds great on just about any instrument you throw it on: acoustic and electric guitars, drum overheads, percussion, bass, vocals–you name it. It’s an absolutely stellar workhorse condenser at a fair cost. One especially great feature of the K47 is its frequency response. The mic was designed to be full-bodied without any of the harshness in the upper frequencies that you might get from other competitors in the price range. This is particularly nice on vocals, minimizing sibilance and unwanted harshness/mouth noise from a performance. The Mini K47. Courtesy of Roswell Pro Audio. 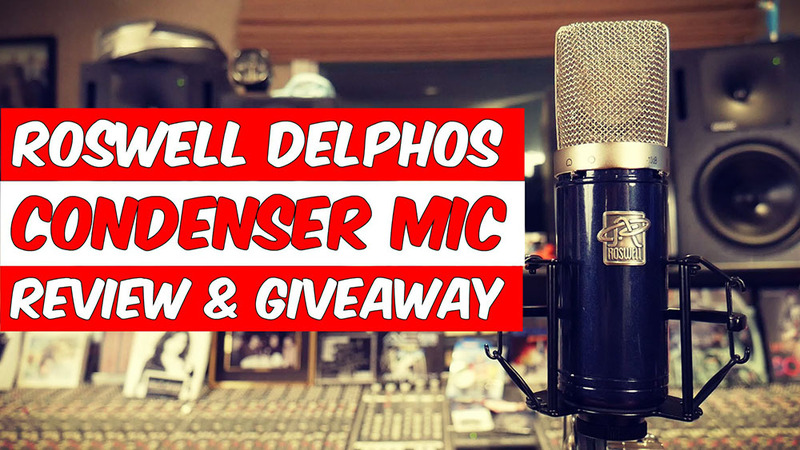 On the higher end of the spectrum at Roswell is the Delphos premium condenser, which we’ve also been fortunate enough to give away in the past! The Delphos is an extremely sensitive, extremely low self-noise condenser designed for an un-hyped, natural response. Each mic’s circuitboard is manufactured in the US, with other globally sourced components–including European capacitors–rounding out the Delphos’s makeup. Additionally, it is multi-patterned (cardioid and omni) with a -10 dB pad for higher SPL sound sources. Roswell also offer the RA-VO–a microphone built exclusively for voiceover work. It was designed with input from voiceover artist Jordan Reynolds, who’s been the voice of companies such as Sprite, BMW, and AT&T. A hardwired high-pass filter reducing proximity effect is one of many features that make the RA-VO an outstanding microphone for such applications. If it hasn’t yet been made clear that Matt McGlynn really knows his stuff, visit the Recording Hacks microphone database. We’re confident it can become a go-to resource when considering future microphone purchases! Please also enjoy Matt and I’s previous Live Q&A, Mic Madness!